As it sometimes happens, Sarah and I did a little stress eating this last week. We were both under the looming shadow of stressful deadlines and working elbow-to-elbow within the confines of our loft which, typically plenty spacious, can end up feeling like pretty tight quarters when we're both feeling anxious. To temper the mood, I fed us. It's what I do in times of disharmony. Cook, eat and cook some more. It began with last Monday's brunch, continued with duck ravioli on Tuesday, lamb burgers on Wednesday, Thursday we sought comfort at Tete (which is awesome, by the way - if you haven't been, GO!) and Friday - inspired by Tete - I made seafood sausages (which are also awesome and will be highlighted in this blog at some point). The weekend was a blur of work and almond butter sandwiches (plus the last scrapings of that Rhubarb Beer Jelly) so by the time Monday rolled around, we were both feeling a little guilty and craving a light cleansing meal. With that goal in mind, I headed to the Logan Square Farmer's Market with salad on the brain. I visited my pals at City Farms and boy did they deliver! I left their stand with a bag of some of the most beautiful summer beets I've seen all season. Gold, red and Candy-Stripe! I also snagged a couple nice grapefruits, oranges, some fresh feta and some pistachios for crunch. At the beginning of the summer I set up somewhat of an elaborate sprout/micro green growing station (in the middle of our kitchen counter, constantly in the way and much to Sarah's irritation) and I'd just harvested a bright batch of pea shoots, mild in flavor but striking in color. 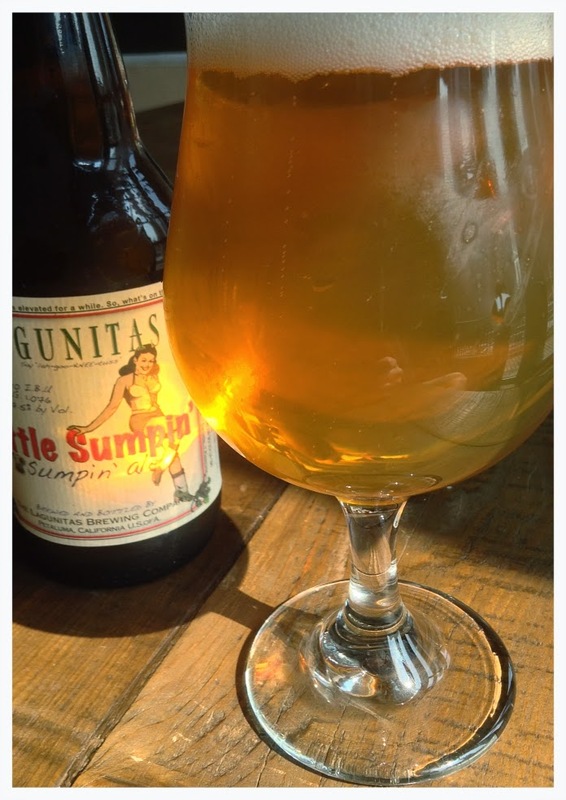 Feeling more and more like a healthy Californian by the minute, I chose a fine bottle of Lagunitas Brewery's Little Sumpin' Sumpin' to pair with. This is a great beer for summer and I suspected the strong hop finish would work nicely with the sweet beets. Guess what, I was right! I was also right in thinking that this salad would be the perfect light meal to cleanse our palates after a long week of indulgence. It was. And while most of you have likely had beets with feta, I'll wager that not everyone has had beets with whipped feta. It's like feta but creamy, aerated and all together better. I finished it with a light citrus vinaigrette made with the leftover orange and grapefruit juices but really most vinegars with any citrus would work. The result was fairly spectacular. Sarah even admitted the brilliance of the freshly grown pea shoots, which I took as a hopeful sign that she may be warming to the growing station. Pre heat the oven to 400 degrees. Wrap beets in tin foil (individually or in sets of two). Roast for 40 minutes. Let cool in the refrigerator for about 20 minutes. Peel the skins off and set aside. Place feta, sour cream, 1 oz. of olive oil, and heavy cream in a food processor and whip on high for 2 minutes. Place in the refrigerator for 30 minutes to tighten. Supreme cut the grapefruit and orange. If you're new to this preparation, here is a good example of how to supreme. Set segments aside and juice the center of both the orange and grapefruit. Add 1 oz. of champagne vinegar. Whisk well and slowly add the 3 oz. of olive oil to emulsify for the dressing. Quenelle the whipped feta on opposite ends of the plate and layer the rest of the ingredients. Sprinkle crushed pistachios and drizzle vinaigrette over the top, garnishing with more pea shoots as desired. This beer has a light straw color, a creamy and thick head with strong aromatics of citrus fruits. It showcases the deep hop notes both in aroma and bitter flavor strength. The light wheat body lets the hops flourish. It is crisp, light and refreshing while hiding the brute strength of a 7.5% ale. The pairing is a compare and contrast in both flavors and aromas. The beets act as a contrast with their sweetness balancing the strong bitterness of the hops, while the citrus fruits enhance the bright floral and citrus hops to form a comparison that elevates their potency. The whipped feta is the light creamy element similar to the wheat grain build to help round out the excitement of all the other ingredients. The saltiness from the feta and pistachios counters the sweet beets to mellow them in flavor while rounding out the taste experience as a whole. what is the serving size here?